It couldn’t have been a more fitting ending; though, in fact, it wasn’t really an ending at all. It was actually one of those nights where we sit up and notice the little way the world changes around us. We take that moment to think about what and who we love and respect and take a moment to note it before moving on. 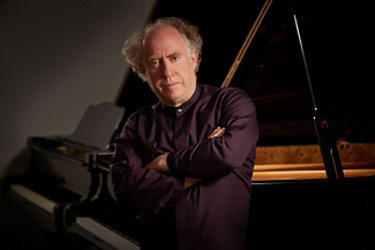 The moment was the end of Jeffrey Kahane’s 20-year tenure as Music Director of the Los Angeles Chamber Orchestra in a pair of concerts that closed LACO’s 2016/2017 season. Kahane isn’t really moving on, of course, and will continue to be a fixture in future seasons with the ensemble who named him Conductor Laureate. Nevertheless, he is stepping down from his former position, and LACO continues their search for a new Music Director. There were many lovely commemorations from the musicians, board members, and administrators. What came through most clearly was the deep love and respect these artists all have for one another. Kahane has not only been a superb artist but a noble, moral human being in his time with the orchestra, using his artistry to do more than entertain but also to do what is right and good. He’s demonstrated that keenly in this past season when he’s spoke passionately from the stage about the times weʼre living in as well as in his moving performances of the recent Lift Every Voice Festival. As for the program this weekend, the tone was perhaps less grand, but certainly no less moving. It was an evening that encapsulated so much of the great things of Kahane’s time with LACO. He began by conducting Mozart’s Piano Concerto No. 27 from the keyboard. Kahane has made a specialty out of these concertos during his time at LACO, presenting cycles of all of them during his tenure here. It’s clearly some of the most touching moments to his artistic collaborators and it couldn’t have been more warmly received. This segued into the world premiere of a new piece from composer Christopher Cerrone, Will There Be Singing. LACO has been a force for commissioning new music in a town that thrives on new music and it was fitting that this transitional evening was no different from so many of the last 20 years. Cerrone has garnered much attention recently including a Pulizter nomination for his opera Invisible Cities which will see a DVD release this year. Will There Be Singing features waves of tinkling, chiming sound that is left hanging in the air as it slowly degrades before the next wave crashes. Cerrone described the work as being focused on this aural degradation of tones. Despite this dark sounding premise, however, the atmosphere is bright and sparkling in the piece. All of this led to a rousing turn through Schubert’s Symphony No. 9. It was a big week for the Schubert symphonies as the Los Angeles Philharmonic also closed its Schubert symphony cycle on Sunday. But here the feeling was different. LACO and Kahane gave the work a warm, connected, and intimate feeling. The kind you might have with the closest of colleagues and friends. It couldn’t have come at a better time.